Bernard Schroeder – Landscape Architect – 20 Year Anniversary! 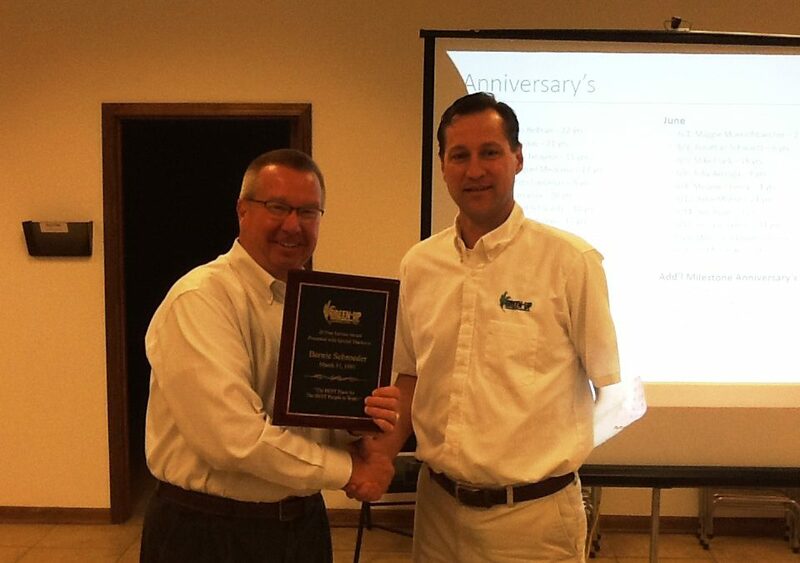 Please join us in congratulating Bernard “Bernie” Schroeder, Landscape Architect, Director of Operations, Green-Up Landscape, Inc. on his 20th anniversary. In November of 2012, Acres Group and Green-Up joined forces to combine & strengthen 2 already excellent teams. Bernie and his team add an exciting new dynamic to Acres as they focus on the installation of playground equipment and site amenities. Additionally, we are also very pleased to share that in a truly total team scenario, Bernie’s wife Sandy joined us in the merger as Office Specialist for Green Up & Walsh. Please join us in congratulating Bernie on his tremendous contributions over the past 20 years, and in wishing him and Sandy all the best over the next many years of their stellar careers.